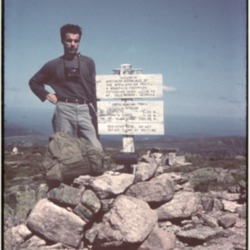 Thirty-five years ago hikers and backpackers on the Appalachian Trail hiked in jeans and tee-shirts. Today if a backpacker wears jeans they are gently pulled aside by friends who tell them that cotton kills. Cotton increases the chance of getting hypothermia because it absorbs moisture and retains it, cotton socks give people blisters, cotton underwear chaffs, anyone who wears cotton while backpacking is ignorant becuase everyone knows that wool and sythetics are best. What forces drove outdoor enthusiasts to throw off cotton with a rant on its evils? And what other fashion trends hit the Appalachian Trail since its creation.